Edwardian houses, built between 1880 and 1914, remain some of our best constructed, elegant, and durable housing stock. Many were influenced by the romantic styles of Art Nouveau and the Arts and Crafts Movement. It was an age of mass production, but the pride in these homes shown by their builders is still evidenced by the dates of construction and the rural names given to them, often seen above the front door or carefully chiseled onto a plaque below the roof. This book focuses on the original exterior and interior features that would have been added by the builder but which may since have been replaced or removed. They include sash and casement windows, coloured glass, door plates and handles, letter boxes, porches, balconies, rainwater hoppers, fireplaces, stairs, wall mouldings and fitted cupboards. A strong pride of ownership remains with today's owners. 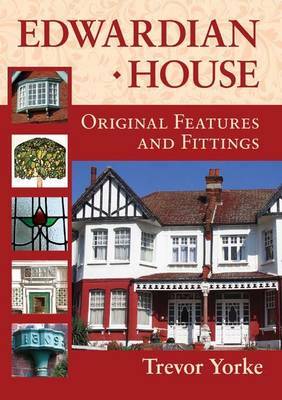 For anyone restoring features in their own Edwardian home, or who simply enjoys an admiration of period properites, then this book will be an invaluable guide.